This is the third in the series, and I would recommend that you read them in order; I have just spent a very pleasurable weekend reading all three (and not doing a lot else, to be honest!). We are left with just Gavin Miller, the author with writer's block as a single man. He has become incredibly stressed by his lack of word production, missing deadlines and feeling the responsibility for the movie crews waiting on his next blockbuster. He is also in physical pain from being hunched up, so finally agrees to see a physio, very reluctantly. Allie Nichols, newly unemployed thanks to her drunken ex-husband, needs this private job to work, so she persists through Gavin's animosity to her ministrations. Then he realises that maybe she is his muse, amongst other things. The progress of their relationship also gives us a chance to catch up with Nathan & Chloe and Luke & Miranda, which works well. Again, there are issues which need resolving before they can be together, but it is a satisfying conclusion to the series. Thank you Ms. Herkness, for a lovely set of stories. Nancy Herkness is the author of the award-winning Whisper Horse series, published by Montlake Romance, as well as several other contemporary romance novels. 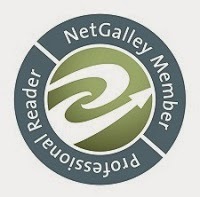 She is a two-time nominee for the Romance Writers of America’s RITA® award. Her new series, Wager of Hearts, follows the romantic adventures of three very wealthy men who make a life-changing bet. Nancy is a member of Romance Writers of America, New Jersey Romance Writers, and Novelists, Inc. She has received many honors for her work, including the Golden Leaf Award, the Maggie Award in Contemporary Romance, and the National Excellence in Romance Fiction Award. She graduated from Princeton University with a degree in English literature and creative writing. A native of West Virginia, Nancy now lives in suburban New Jersey with her husband and two mismatched dogs. 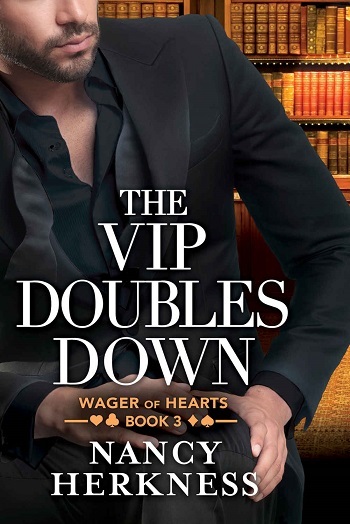 Reviewers on the Wicked Reads Review Team were provided a free copy of The VIP Doubles Down (Wager of Hearts #3) by Nancy Herkness to read and review.